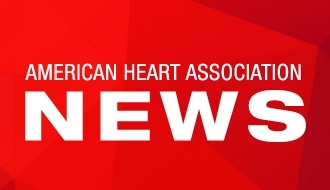 DALLAS, Jan. 30, 2019 — A minimally invasive surgery combining the use of a clot-busting drug and a catheter to drain blood from the brain of hemorrhagic stroke patients reduced swelling and improved patients’ prognoses, according to preliminary research to be presented in Honolulu at the American Stroke Association’s International Stroke Conference 2019, a world premier meeting for researchers and clinicians dedicated to the science and treatment of cerebrovascular disease. “We know from human and animal research that intracerebral (within the brain) hemorrhage blood clots are toxic to brain tissue. The toxicity of blood causes swelling in the brain that, together with the initial bleed, contributes toward poor outcomes, such as speech problems, difficulty walking and even paralysis,” said W. Andrew Mould, M.P.H., study author and research program manager at the Division of Brain Injury Outcomes at Johns Hopkins University in Baltimore, Maryland. “To patients, this reduction in blood and swelling volume may mean a faster recovery with improved outcomes and a shorter time to return home. MISTIE has the potential to establish the first viable treatment to improve functional outcomes for hemorrhagic stroke patients,” Mould said. The National Institute of Neurological Disorders and Stroke funded the study, and Genentech Inc. donated alteplase. W. Andrew Mould, M.P.H., research program manager at the Division of Brain Injury Outcomes at Johns Hopkins University, Baltimore, Maryland.